Har på mig kolt på jobbet idag. För att jag kan, och jag vill. För att jag inte tycker att det är konstigare än att ta på mig en kostym, eller en snygg skjorta. Och just i dag känner jag att det är bra att jag är vuxen, och inte längre en blyg och osäker tonåring med komplex för min kultur. Han som inte så gärna berättade att han kom norrifrån. Att jag inte längre är pojken som slutade prata sin hemdialekt för att han blev mobbad för den i Sveriges femte största stad. Han som fick kvarsittning för att han tog med sig en samisk flagga till klassens timme, en fredag i årskurs tre. - Inga centrala krav på minimum-löneökningar. - Man skall "förebygga" ohälsa. - Ett avtal för fler och friskare lärare. - Varje kommun måste nu sätta upp mål för att sänka sjuktalen. - LR och Lärarförbundet skall delta i turordningsförhandlingar med andra fackförbund 2019. - Bättre ordning i lönestrukturen, kompetens och erfarenhet skall premieras. - Turordningsreglerna skall utgå ifrån skolans specifika behov. - Inga väsentliga förändringar i avtalet från det förra kring turordning. - Lokala parter åläggs arbetsplatsspecifika arbetsmiljöarbeten. - SKL är okej med avtalet, då de känner att de kan få igenom sina turordningsregler vid nästa avtalsomgång. - Avtalet är ett specifikt skolavtal, som ålägger de lokala parterna att göra ett faktiskt arbetsmiljöarbete ute på skolorna, som också kommer att följas upp. Some of our students' parents were shocked to hear about the amount of Nazi symbols found around our school and on our students' computers at our parent-teacher conference. I, however, couldn't be less shocked. I've heard so many of the very same parents complain about the mere presence of immigrants in their sons' and daughters' classes, and seen how they've laughed along to sexist and homophobic jokes in front of their children. You can't complain about other children's bad behaviour when, at the same time, you're consciously or subconsciously contributing to a system where being xenophobic, casually sexist and proudly homophobic is part of the norm. Did you go to a whale wake? - translation: Did you attend an election night party? I want to have their stools instead! These stink! - translation: I want to have their chairs instead! These are so bad! I will do a doll. - translation: I want to make a doll. The colonial use of the term ‘indigenous’, translates as a unifying, oppressive label used to question our own definitions of authenticity, belonging and hybridity. This use of the term ultimately leads to a future where Settlers, based on their practices of silencing us can claim that the indigene, as defined by the Settler, is gone. Colonisation has defined us as Other and lumped us together for this very purpose, i.e. a comfortable academic disposal of our very beings. Like so many others from small, colonised communities, I was raised in an abusive family, and growing up, I quickly learnt that remaining silent was an easy way to stay under the radar, but that the very same silence would ultimately drain you and leave you an empty shell. Those of you who know me might have gathered that I’ve never been good at staying silent and though I come from two small cultures more or less stripped of their respective voices by the majority, I've slowly but surely worked myself to a point where I refuse to remain silent. You don’t move on when your people is the victim of a cultural genocide, or when your people has had their tongues cut out of their mouths and hung on the walls of colonial oppressors, moving on from intragenerational traumas is exhausting and for the most part impossible. We are often asked to explain why our languages are important to the world as a whole, and our answers become repetitive and pointless after a while; this is because the question in itself misses the point entirely. In order to revitalise a language, we should not be asked to justify its worth to others, but to think critically about what it means to ourselves. When you’re asked to explain why your language is important to everyone else but your own community, focus is shifted from the act of speaking it to a point where we’re too busy defending the use of it to non-speakers from outwith our own communities to actually use it. Tormod was an unmade man in a world of daoine dèante – when others spoke at the opening of some new school, or put on their best Wee Free gloom of a face to talk about the decline, the death, the Deathly Hallows gone Gael, he spent his days minding his own business. The blue of his eyes had long ago told others to leave him alone, the comharradh-cluais carved into the ears of his lone sheep an interrobang of do not try to save me or i’ll save you to hell. As a child he’d been a dreamer, sure, but after years of ignoring the depression buried in an eternal line of slings tied to the ground, like tongues under the burden of a sheep’s head chanting donotspeakthatfilthytongue, he’d finally burst open, like a broken melon, and cried. This thread is devoted to a Swedish translation of @Gillebride Mac IlleMhaoil's stunning song "Duan an Fhògarraich". If you haven't listened to it yet, you should do it asap. 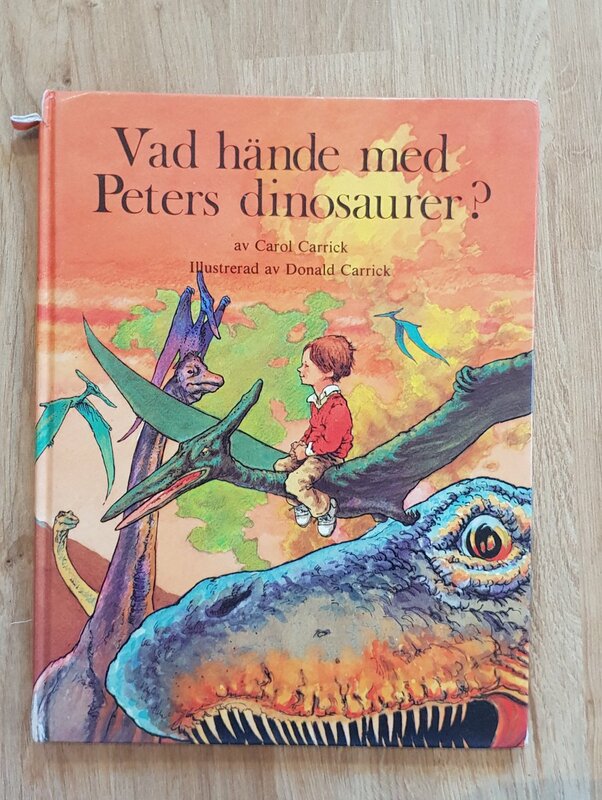 säg mig, vad gjorde jag för att förtjäna dina hårda ord? My third book recommendation of seven (a friend asked me to recommend some books a while ago) is a book that you'd hardly find on any university reading list, but which I read so many times as a child, that it's a wonder that my copy is still in one piece. ... but instead of accepting this fact, he imagines a different past in which dinosaurs and humans were great friends, sharing this world and everything in it together. "The Stornoway Way" is arguably one of the best examples of recent Anglo-Gaelic literature, and it spoke to me in a way few other books had ever done before the first time I read it. In fact, I liked this book so much that I chose to devote half of my MLitt thesis to this beast. In and of itself, the story seems boring - a washed-out drunkard, complaining about his love-life and island existence, but beneath this layer of prose, there's something else, something much more important. The main character constitutes a broken hybrid whose life story challenges existing ideas of Gaelicness, islands and what it means to be a minority, whilst actively dismantling the majority's ideas of how minorities should behave to retain their asked-for authenticity. "The Bone People" focuses on love, and belonging, centering three odd characters who have been rejected, or have rejected society because of past mental and physical, intra-generational and personal wounds, thus making it a poetic but also a hard, traumatic read. Hidden in lines of wonder, the pain of colonialism still remains tangible throughout the text. The first time I read "The Bone People", the text swallowed me whole - I couldn't put down the book, because the book spoke to me in a way few other books have ever done. Daenbiejvien veeljemebiejvien rïjhkebeajvan Svöörjen bielesne, daennie Saepmesne. Mearan almetjh Svöörjesne steemmadieh, saemieh dovne daalhkadahken jah maadtoej reaktaj åvteste vuastalieh Såevmien bielesne. Ij maehtieh neajhkodh ahte mijjieh saemieh gujht ov-våajnoes libie dennie politihkeles digkiedimmesne. Dan diehte gujht vihkeles ahte daelie aktesne barkebe, jalhts ovmessie laantine årroeminie. Goh aalkoe-åålmeginie jah unnebelåhkojne mijjieh hov sjaavobe akten jienebelåhkoe-siebredahkesne gusnie almetjh tjoeverieh politihkeridie jienebelåhkoe-öörnegisnie steemmadidh. Daen jaepien veeljemisnie mijjen båetije biejvide veeljeminie. Jag känner en del samer som inte tänkt rösta, för att de känner att det svenska systemet inte respekterar våra rättigheter, och att det svenska partisystemet ignorerar våra behov och våra röster. Andra talar om röstskolkning som ett dekolonialt val, ett försök att sätta sig utanför det koloniala förtrycket som statsmakten representerar. I vilket annat val som helst hade jag kunnat acceptera röstskolkning på grund av de ovanstående anledningarna, men i år kan jag inte tyst se på när samer väljer att aktivt, bildligt talat, spotta andra minoriteter och solidaritetstanken i ansiktet. dè cathair a gheibheas miiiiiiiiiiiiiiiiii ? Also, while we're talking about ourselves, which I do so well, without my knowledge of my languages, I would've lost out on some of the coolest experiences I've ever had. I have written radio shows, worked for magazines, been on TV, travelled extensively and met amazing people. And all this while constantly feeling like I'm on a journey of healing myself. My languages are my home. I'm nothing without my languages. And sure, this love can be translated into a skill that can be used to earn money, but that is beyond the point. I always tell my students to learn our language because it'll make them feel at home again and make them understand where they come from. When people talk about Gaelic or any other endangered language as "dying", they're looking at it from a majority point of view whilst, at the same time, absolving themselves of any responsibility with regards to why the language became endangered in the first place. Most endangered languages have vibrant communities who do their utmost to keep them alive, despite the overwhelming reluctance from the monoglot majority to give any time, space or resources to help keep the endangered language strong and alive. I even took the time to figure out how much my surgery and follow-up treatment would have cost in the US, as I was supposed to spend time in California shortly after my accident, and found out that it would have set me back more than $275,000. If I have to choose between an American Freedom™ approved bill of $275,000 and socialist healthcare costing me no more than $111, I know what I'm choosing any and every day of the week. How is it already the end of July? How is it that my so-called summer holidays end in two weeks? And how is it that, as of today, I'm fully booked until mid-October? I would like to withdraw from adult responsibilities, please. The problem with mid-life crises though, is that they're expensive, and my super-ego is too busy telling me to be responsible and take care of things to allow me to run away to a retreat where I get to be all by myself as I weave Harris tweed in a desolate black house on Lewis. där nåjd och verben som förknippas med det syftar på manlig religiositet och det som sågs som trolldom, medan den kvinnliga motsvarigheten kallas för någonting helt annat. Ordet för att utöva kvinnlig nåjdkonst är för övrigt goehpestalledh. Det har samma rot som ordet för mögel. Samma ordbok har för övrigt med översättningar av ord som klitoris, kåt, att få barn utan för äktenskapet, tjocka men virila män och kvinnor samt erektion, så jag vet inte vad herrarna Lindahl och Öhrling ville åstadkomma med sin ordbok när den gavs ut i slutet av 1700-talet. 1. Insett att man inte kan åka någonstans utan sentråd och skinnålar. Har nu lagat både en trasig plånbok och ett armband. 2. Skrivit mitt första autosvar någonsin. Skicka mig massa mail, så att ni får läsa att jag inte tänker bry mig om att svara på dem förrän den 25 juli på tre olika språk. 3. Haft en existensiell kris relaterad till färgen gul och ordet "obligatorisk". Det är så tacksamt att som @Ivarpi ifrågasätta renskötselns existensberättigande, utan att för den sakens skull ha satt sig in i de koloniala system som skapat den situation som vi har idag. istället för att lyfta den breda kritik mot utarmningen av samiska marker som förs av samer både inom och utanför samebyarna, så slipper man ta ansvar för sitt lands koloniala arv. En Unge Høyre-politiker föreslår att samer ska få öppna bordeller och kasinon. Att avfärda detta som ett skämt, utan att förstå - eller kanske just för att man förstår - det man anspelar på här är så otroligt dåligt att det inte går att försvara. Urfolksreservat i USA kan idag driva kasinon, men inrättades ursprungligen som koncentrationsläger, och flera stater förbjöd urfolk att lämna sina reservat tills långt in på 1900-talet, och det var först 1965 som alla urfolk fick rösträtt i USA. Urfolkskvinnor är idag de som i störst grad utsätts för våld och sexuella övergrepp - 87% av alla urfolkskvinnor i USA har utsatts för våld, och 56% av alla urfolkskvinnor har blivit utsatta för sexuellt våld, eller våldtagits. 90% av förgriparna i de fallen är vita män. Vokabulärren som används när diskriminering mot samer lyfts i media fokuserar alltid på ilska. Vi bråkar inte när vi ber dig att respektera oss. Vi är inte arga när vi talar om övergrepp. Men det blir så lätt att avfärda oss om ni kan få det att låta som om vi är konstant ilskna. Ett "Samebråk" där ministrar "ryter ifrån" låter ju givetvis sexigare i media, än "Sveriges Andre Vice Talesman uttalar sig återigen rasistiskt om samer. Alice Bah Kuhnke, Sveriges kultur- och demokratiminister kritiserar detta"
Vi måste också lyssna på vad Björn Söder _INTE_ säger; han är tydlig med att säga att vi samer är en nation i Sverige trots vår påstådda icke-svenskhet - detsamma gäller tornedalingar och judar - men romer nämns aldrig, eftersom Björn Söder inte accepterar dem överhuvudtaget.